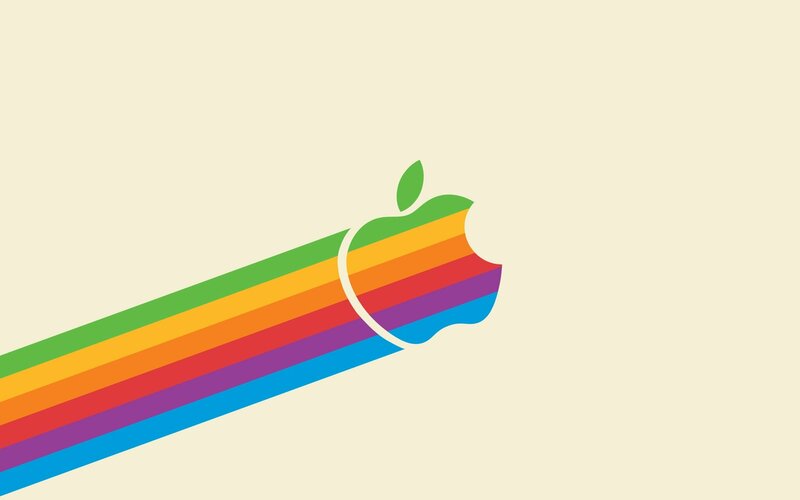 Want some retro Apple wallpapers featuring the classic rainbow  logo? Of course you do, so get ready to feel like you’re somewhere back in the 80’s and early 90’s again with this collection of five old school wallpapers. 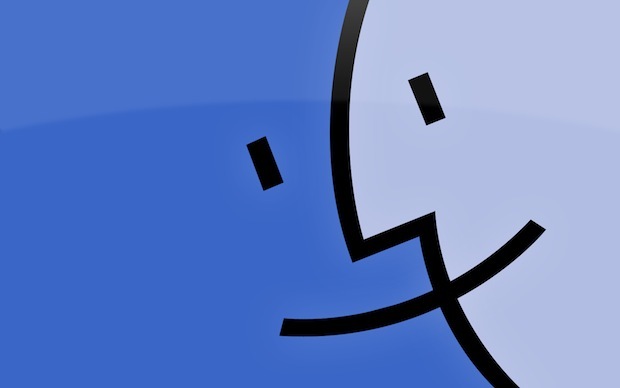 The first comes to us from @RetinaiPadWalls on Twitter (are you following @OSXDaily yet?) and it’s the beauty that inspired this post. 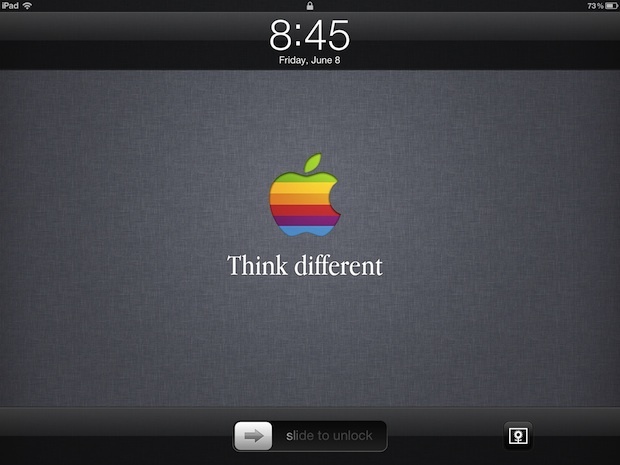 Shown in the screenshot up top, it’s a modern take on the classic “Think Different” line complete with the original rainbow Apple logo sitting against the modern linen that is all over iOS and OS X. It makes a great lock screen and is available at high resolution for both retina iPad and any Mac screen res. It’s like being in a time machine that isn’t quite certain of the decade, is it 1985, 1997, or 2012? Want more? 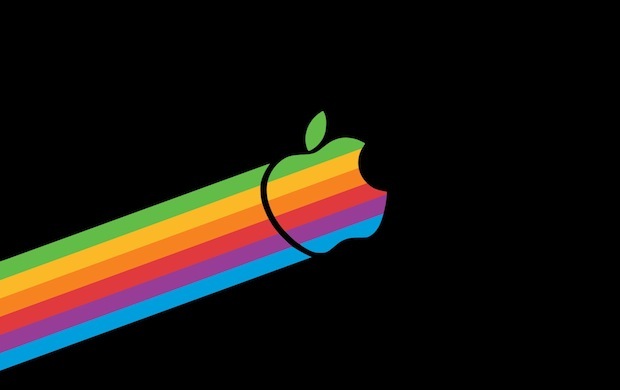 Check out some more retro stuff and many more beautiful wallpaper posts. 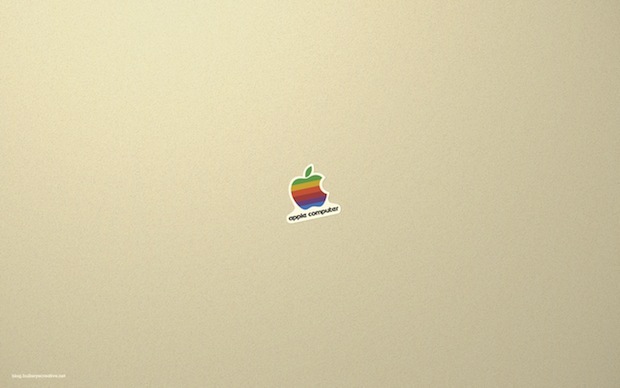 I used to have a bunch of those old Apple stickers, wish I never tossed them out! I still have a stack of them, circa early 90s. 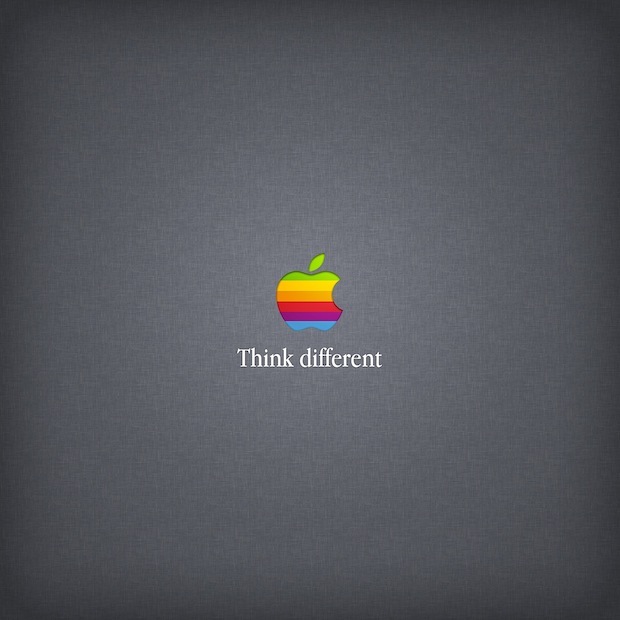 The rainbow Apple never changed, but the font used did over time. Please upload higher resolution images! My 27″ 2560×1440 is screaming for the Finder wallpaper in a higher resolution. Yes, and please upload 1280×800 for my MacBook Pro too! Thank you.